Our engineers have vast experience in the thermal selection and design of shell & tube heat exchangers. We are able to offer you thermal modelling and process design services for heat transfer equipment to suit your requirements. While we are happy to provide you with just a thermal design solution, we can also provide a mechanical design package or as a heat exchanger supplier we can also provide quotation for the full equipment. Contact us today if you need assistance with the design and selection of a properly sized heat exchanger. Using both AspenONE® Engineering Desktop and in-house software, our experts can model your heat exchange process requirements with accuracy for your precise application. 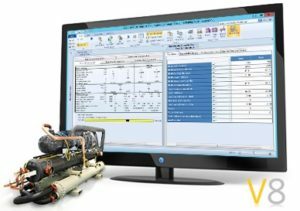 The Aspen Exchanger Design and Rating (EDR) product family delivers the most comprehensive range of heat exchanger design and rating software in the world. It builds on over 40 years of heritage from HTFS and B-JAC. EDR tools integrate with Aspen Plus and Aspen HYSYS process simulation to enable process engineers, and thermal and mechanical equipment specialists to collaborate effectively.